As of yesterday we have had 24 webcasts in 2017 with an average registration of 134 (this is down from previous years). The good news is over half of the webcasts have come from customers sharing their stories, from Web Intelligence, RoamBI, BW, HANA and more. Many more webcasts are scheduled, and we hope you will join us. Webcast registration is shown above. 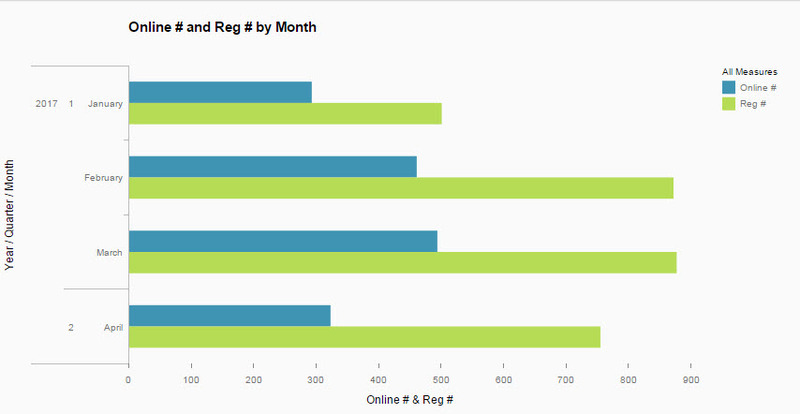 With the new webcast platform, we can track online and registered counts. Yesterday SAP’s Gregory Botticchio gave a great demo of the future of Web Intelligence and at the end a sneak preview of the future of BI. If you want to see more in person please join us at ASUG Annual Conference. The ASUG SAP TechEd Design Team (composed of volunteers Kristen Dennis, Gretchen Lindquist and Kevin Comegys) received a record number of submissions – so high this year, that I can’t remember when so many were received. We appreciate the support and interest. There were so many received, that I hope you will consider submitting again at future events, or if you are interested in providing webcasts, please let us know. 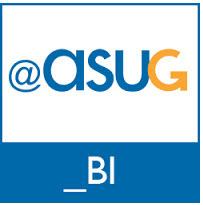 ASUG will be notifying you very soon of your submission status. A big thank you to all of those who submitted. This is next month, and right now the ASUG Program volunteers are reviewing presentations. I appreciate that ASUG Education is work hard with us to ensure that attendees have access to the presentation before the event. I think it improves the attendee experience. Kick off your conference on May 15th with a pre-conference session; we are fortunate to have Ingo Hilgefort, along with SAP’s Jie Deng and Ramu Gowda providing an opportunity for you to obtain hands-on experience with SAP BusinessObjects Lumira 2.0 and with BusinessObjects Cloud. See more information here. Due to out of office statuses of some of the council leadership, the BusinessObjects Lumira Influence Council is not yet set. Our thanks to those who have applied. Influence Councils are the unique value that ASUG offers, and I encourage those who have the opportunity to take advantage of it.